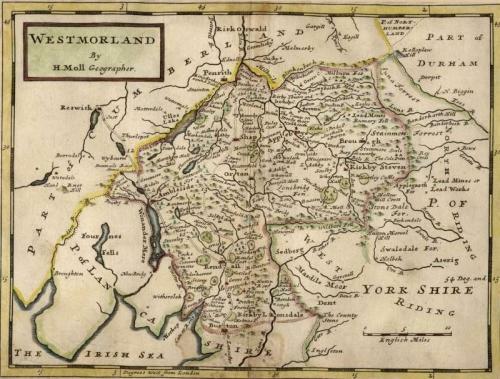 County map of Westmorland by Herman Moll, a famous and prolific cartographer. In reasonable condition with good colours. Some wear at the margins can be well disguised by framing.